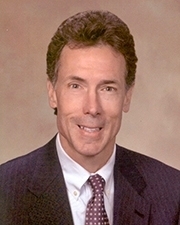 Mike Moore was attorney general of the State of Mississippi from 1988 to 2004 and now practices law in the areas of dispute resolution and governmental relations with his own firm, Mike Moore Law Firm, LLC, in Flowood, Mississippi. Prior to opening his own firm, Mike practiced with Phelps Dunbar in Jackson, Miss. He received national attention in 1994 when he filed the first lawsuit against 13 tobacco companies, making Mississippi the first state to insist that cigarette manufacturers reimburse the state for costs incurred while treating smoking-related illnesses. The suit resulted in a $4.1 billion settlement for Mississippi. Mike also led the national tobacco litigation effort, which resulted in a $246 billion recovery for all of the states. Before his 16 years as Mississippi’s Attorney General, he served as district attorney on the Mississippi Gulf Coast for two terms. In 1992, Mike became the first resident Mississippian to be selected as one of the Ten Most Outstanding Young Americans by the National Jaycees. In 1994, his fellow attorneys general bestowed upon him the prestigious Wyman Award, naming him the most outstanding attorney general in the nation. Mike also served as president of the National Association of Attorneys General. In 1998 the National Law Journal named him “Lawyer of the Year,” and Governing Magazine named him “Public Official of the Year.” In May 2003, the Campaign for Tobacco-Free Kids presented Mike with their “Champion Award” for a decade of service in protecting America’s young people from tobacco addiction and his role in protecting the nation’s health. In 2004, he was the recipient of the Julius Richmond Award, which is the highest award given by the Harvard School of Public Health. Mike continues to stay very active in tobacco prevention work across America. He chairs The Partnership for a Healthy Mississippi, Mississippi’s tobacco prevention program that he founded after the settlement in 1998. He was recently selected to serve on the board of the Truth Initiative, formerly known as the American Legacy Foundation, created by the state attorneys general to reduce tobacco use in America. In addition, Mike serves as a board member for the Cal Ripken, Sr. Foundation, the Campaign for Tobacco-Free Kids and as a trustee for the Stennis Center for Public Service. Mike is married to Letitia. They have one son, Kyle, who is married to Ashley, and two grandchildren, Stone and Indie.